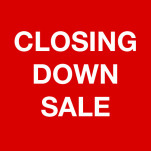 After much consideration, I have decided to close DIY Guitars and sell out all remaining stock at bargain prices. If you have ever wanted to get a great DIY kit for a bargain price, jump into the shop now. Prices will be drastically reduced on most items over the coming days. There are some conditions as explained in the last paragraph. I have a little 5 year old rocker in the family named Charlie. Last year, he was diagnosed with leukaemia and although he has a good chance of surviving, the toll the treatment takes on both him and the rest of our family is enormous. We had great plans for expanding the business last year, but I didn’t have the time or energy to make this happen. Treatment gets easier, but this coming year and the years to follow are also going to be tough. This presents two problems; I need more time to spend with the family and I have high standards when it comes to running a business. I have been unable to achieve either and as family comes first, the business has to go. DIY Guitars has some value, so why not sell it? Well, despite a bumper year, much more work is necessary to make the business attractive to a buyer. I would much rather see our hard work passed on to someone else and watch the business grow from a distance, but for all sorts of reasons, this is not practical in our situation. Thanks to those who supported us. Richard became addicted to the Internet back in 1993. After building websites for others for 16 1/2 years, it was time to work on some of his own projects including DIY Guitars. However it's the team that makes things happen - thanks Trent and Tina - couldn't do it without you. So very sad to see the business go. Family always comes first. I wish Charlie the best for the future and hope you and yours all get through this with him. Your business has come on in leaps and bounds to be close to the forefront of kit sellers in Australia. Others may have more kits or a bigger forum. But, I have found the standard of support and quality of your business products has gone through the roof, so much so that, in my opinion, DIY guitars would be the premier guitar kit supplier here right now. We will miss your kits, finishing products, happy responses, and quality of product and service. Be well, be safe, be happy….and don’t forget us….come back bigger and better. Having only recently discovered your business, I ordered my first kit from you only yesterday. I’m terribly sorry to hear your little bloke is going through such a horrible experience for one so young. With Gregs comment, I am greatly encouraged and look forward to producing a great guitar, but how my guitar turns out doesn’t matter. You don’t know me from Adam but I am sincere in offering any assistance I can to you and your family. Music heals in ways we can’t imagine. Rock on Charlie. I’ll look forward to hearing that you smashed leukaemia!!! I wish you all the best, and good health for your family. Hi Richard, just want to wish you and the family all the best and I am sure you can kick this in the arse. I know what you are going through having lost a family member to cancer and having a cancer myself which I fought and beat and am now in remission which is why I started doing things I love to do, like playing and building guitars, life can be too short. I am sure your charlie will beat this too and you can go back to what you love to do, whether that be opening the business again or other things. Be assured we are all routing for little Charlie. I only just found this website, and I’ve put in my first order. Very sorry that this resource will not be around much longer, but for what it’s worth, you are making the right choice. Businesses come and go but family is forever. Very sorry to hear about Charlie, with 3 girls of my own I can only begin to imagine what you and your family are going through. Can I say, have bought lots of your guitars over the years, they have all brought me and my mates lots of joy, and all been played at gigs throughout Melbourne. Thank you for advice and setting up DIY guitars, have enjoyed various correspondence, the blog, guitar competitions …..
Look forward to hearing of Charlie’s recovery, and to supporting you in whatever your next business venture is. You and your family will be in my thoughts this year. Very sorry to hear Charlie! 🙁 Thanks for a great business and website! All the best Richard!